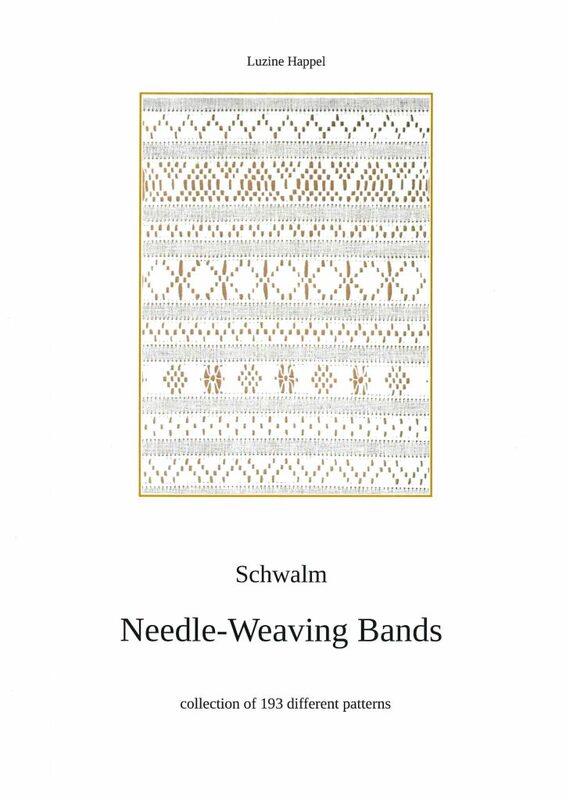 Needle-weaving hems and needle-weaving bands are an inherent part of Schwalm whitework. 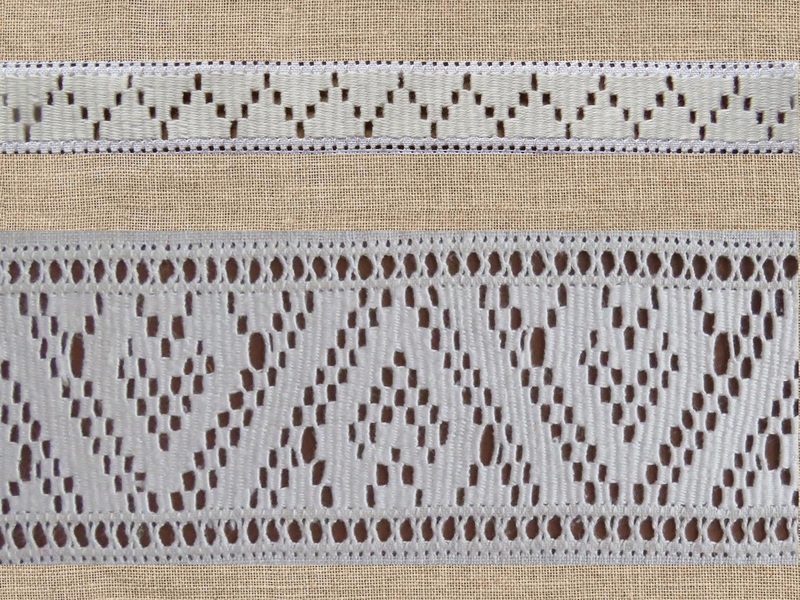 And the huge number of different possibilities makes this special type of embroidery varied and interesting. 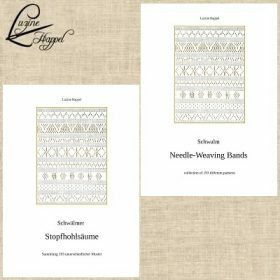 In Schwalm Whitework Lesson #4 – Needle-Weaving Band Sampler, I described how to work the different pattern categories in great detail. I have now collected into a new publication a huge number of band patterns with short explanations. 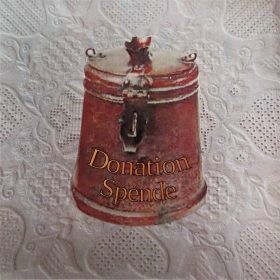 This publication will enable embroiderers to find the perfect pattern for their taste and purpose. 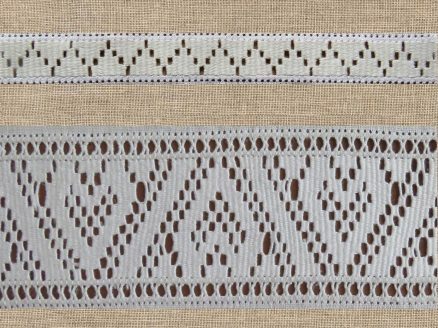 The featured needle-weaving band patterns were found on pieces worked within the last two hundred years – 193 different patterns in all. To both show the course of larger patterns and also enable a size comparison, all patterns are shown over a section of about seventy-two bundles. Some band patterns are easy to read, and others are more confusing. In an attempt to prevent errors from being made and to ease your work, I provide an additional service. For each band pattern, I have included the number of bundles for the individual bridges of the first unit; these are set in parentheses. Additionally, this pattern segment (the counted-out section) is marked with red lines at both ends. Tips for creating both new patterns and different samplers round out this very special and precious publication. Will it be possible to send me these pages of the book by PDF? I will happily pay the Euro 23.36. Our Post Office is in such a mess that this parcel might never get to me. Because of the many pictures the file becomes very big. I can try to cut the documents in different parts, but this needs time, and in the moment my time is rare. I will email you, when I have it finished. I know that your time is precious. There is no hurry at all. Next year will also be just fine. Just I have finished the pdf-files for downloading!